Here's how to easily root your Lenovo P780 smartphone. On your phone, enable app installation from Unknown Sources. Go to Settings > Security > tick on Unknown Sources to allow installation of non-market apps. After the exploit is successfully completed, it will prompt for a reboot. 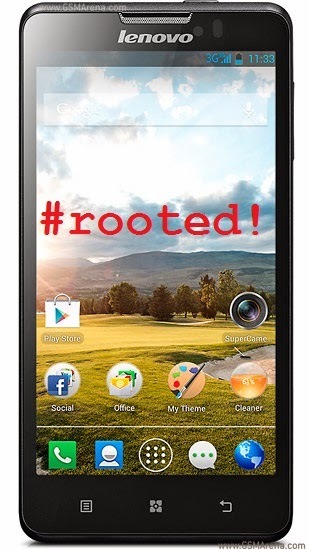 That’s all, your device will reboot now and your device will be rooted. There will be an app named SuperSU on your phone, which listed which apps that has been granted root priviledge.